Etching an officer’s name on the walls of the National Law Enforcement Officers Memorial is a meaningful and special tradition. It allows individuals to bring a bit of the Memorial home with them—more specifically, an outlined name of a fallen officer whom they will never forget. To surviving family members and loved ones, these etchings serve as constant, tangible reminders of the sacrifices made and the lives lived by such selfless and courageous individuals. That key sentiment was not lost on Adam, the 11-year-old son of a 20-year law enforcement veteran and member of Virginia II Chapter of the Blue Knights. Adam attended his second LawRide on May 9th during National Police Week 2011 and spent time selling Memorial Fund merchandise in order to raise funds for a cause particularly significant to him and his family. During Adam’s visit to the Memorial, he displayed compassion well beyond his years for all 19,298 officers whose names adorn the marble walls. One of the names on the monument represents a close friend and colleague whom Adam’s father worked with for nine years. Virginia State Police Trooper Mark Cosslett, or “Cooter” as he was known by those closest to him, was killed in a motorcycle accident while responding to a call of shots fired on October 23, 2002, during the sniper attacks in the Washington, DC area. Adam demonstrated his gratitude and honored not only his friend , but all those who have died in the line of duty, by tracing letters from several different names on the Memorial walls in order to create his special tribute message: “Rest In Peace. None Of You Will Ever Be Forgotten.” As you can see in the photos, these powerful words were flanked by “VSP” in the lower right-hand corner of the paper to represent the Virginia State Police in remembrance of Trooper Cosslett, as well as Adam’s father, who continues to serve today. Many unique tributes like Adam’s are left at the Memorial each day, especially during National Police Week, and each has its own extraordinary story and significance. Share your own personal tributes at www.LawMemorial.org/Tributes. The Chicago White Sox dedicated May 19, 2011, as National Law Enforcement Officers Memorial Day at the Park. The event was organized by the Chicago Fraternal Order of Police, Lodge #7 and benefited the Memorial Fund's efforts to build the National Law Enforcement Museum. Last year, five Chicago Police Officers made the ultimate sacrifice — Michael Ray Bailey Sr, Michael Ronald Flisk, Alan J Haymaker, Thor O Soderberg, and Thomas E Wortham IV. Their names were added to the Memorial earlier this spring and formally dedicated on May 13, 2011, at the annual Candlelight Vigil. Thanks to all who came to US Cellular Field to honor the service and sacrifice of 19,298 officers, killed in the line of duty. Last week, law enforcement officers, their families, and citizen supporters gathered at the annual Candlelight Vigil, the FOP ceremony at the U.S. Capitol and other events held in Washington, DC, as part of National Police Week. In addition, folks across the country were busy observing Peace Officers Memorial Day in their local communities. And one group found themselves celebrating locally ... in Afghanistan. 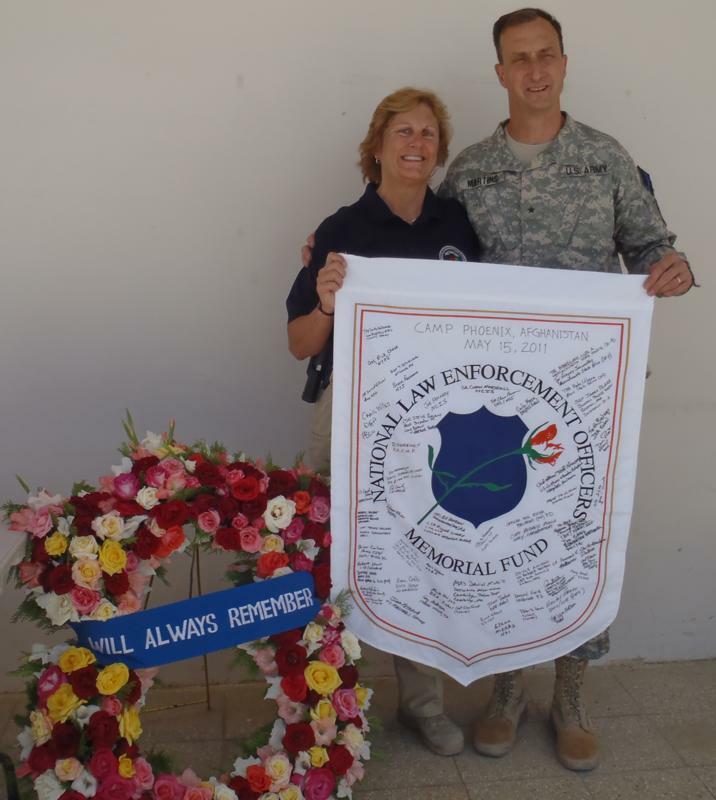 A special agent sent the Memorial Fund photos from the Police Week ceremony attended by 150 law enforcement officers, from 20 federal law enforcement agencies, with representatives from four countries. General Mark Martins, Rule of Law Afghanistan was the guest speaker. The Memorial Fund flag was signed by those in attendance and is being sent back to the US to be placed at the National Law Enforcement Officers Memorial. 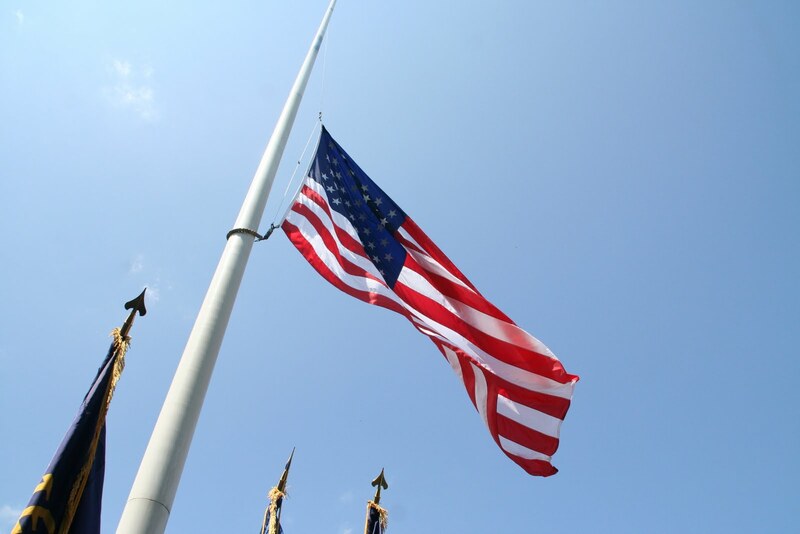 In 1962, President Kennedy proclaimed May 15th as National Peace Officers Memorial Day and the calendar week in which May 15th falls, as National Police Week determining the dates for National Police Week 2011 — Sunday, May 15th through Saturday, May 21st. At the conclusion of the 30th Annual National Peace Officers’ Memorial Service at the U.S. Capitol, leaders of the Fraternal Order of Police, the FOP Auxiliary, Concerns of Police Survivors and the Memorial Fund brought the wreath from the Capitol to the Memorial to remain under the watch of honor guards from all over the country for the rest of the evening. Hundreds of honor guard members from across the country, flanked both sides of E Street NW leading to the Memorial. The wreath was preceded by the U.S. Honor Flag hosted by the Miami-Dade Police Department. Many folks spent the afternoon and evening at the Memorial's walls. There were laughter and tears, handshakes and hugs, lots of blue tape, and thousands of name rubbings. At midnight, a lone piper walked through the Memorial as he played, and the flags were returned to full staff signaling the end of Peace Officers Memorial Day. The names of 316 law enforcement officers who have died in the line of duty — 152 of them in 2010 — were formally dedicated on the National Law Enforcement Officers Memorial Friday evening in Washington, DC. Tomorrow, over 1,300 members of the Police Unity Tour will triumphantly make their way to the National Law Enforcement Officers Memorial, after an arduous multi-day journey, testing their mental and physical strength. They ride for one purpose, to always honor and never forget the more than 19,000 law enforcement officers who have made the ultimate sacrifice in the performance of duty. As the riders enter the Memorial through the “Pathways of Remembrance,” they will be cheered on by their friends, family, and supporters. Throughout their long voyage, Police Unity Tour members wear special remembrance bracelets that bear the name(s) of the officer(s) they ride for. Many members present the bracelets to surviving family members upon finishing the ride. Along their routes, members stopped at 10 Target® stores to further the group’s primary mission of raising awareness about law enforcement officers who have died in the line of duty. 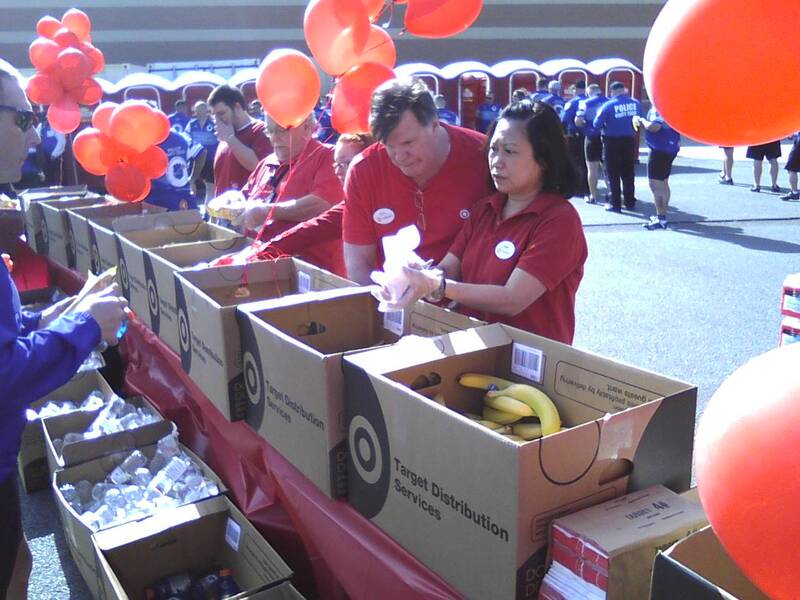 Target® is a generous sponsor of the Police Unity Tour, and the Memorial Fund’s National Police Week events and activities are also supported, in part, by a generous contribution from Target®. 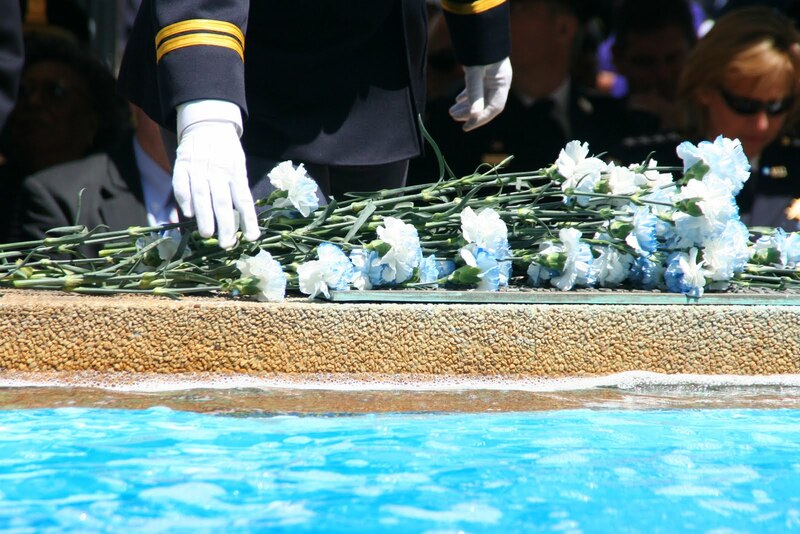 Today, at the Washington Area Law Enforcement Memorial Fountain outside the DC Metropolitan Police Headquarters, dozens of law enforcement officers, honor guards, and surviving families gathered to pay tribute and honor the officers who have made the ultimate sacrifice in years past. 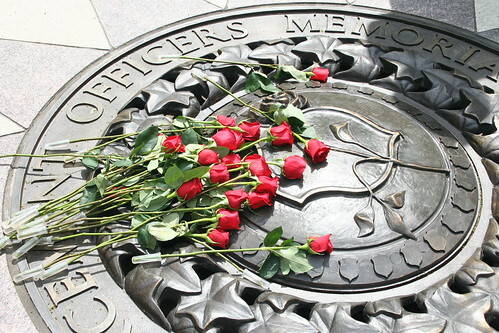 The 32nd Annual Washington Area Police Memorial Service is organized each year by the Metropolitan Police Department, the Fraternal Order of Police DC Lodge #1, and the DC Chapter of Concerns of Police Survivors (C.O.P.S.). Introductory remarks were given by Metropolitan Police Chief Cathy Lanier, followed by guest speaker Terrance Gainer, Senate Sergeant-at-Arms of the United States Senate. Vincent Gray, Mayor of the District of Columbia and Rob Baechtel, President of the DC Chapter of Concerns of Police Survivors expressed their gratitude to the officers, who were killed in the performance of duty and highlighted the sacrifices made by their surviving family members. Agency heads from the corresponding departments paid special tribute to each of the fallen heroes lost last year. Following the tributes, Mirella Arroyo, Fraternal Order of Police DC Lodge #1 solemnly recited the names of all of the region’s fallen heroes over the past 32 years—a grand total of 120 officers representing 29 different agencies. During the roll call, law enforcement officers, survivors and supporters walked to the fountain to place a flower, while DC’s Ballou High School Choir sang Gospel hymns in the background. All six of the officers honored today will have their names formally dedicated on the walls of the National Law Enforcement Officers Memorial this Friday, May 13th, along with 310 other officers who have made the ultimate sacrifice. Next up: the Police Unity Tour Arrival Ceremony – 2 pm at the Memorial on May 12, 2011. For more information about National Police Week 2011, including a complete schedule of events, visit www.LawMemorial.org/PoliceWeek. “We ride in memory of those who paid the ultimate price for their dedication to service and duty. We place the wreaths in honor of their supreme sacrifice,” said Gary Lyons, LawRide Founder. 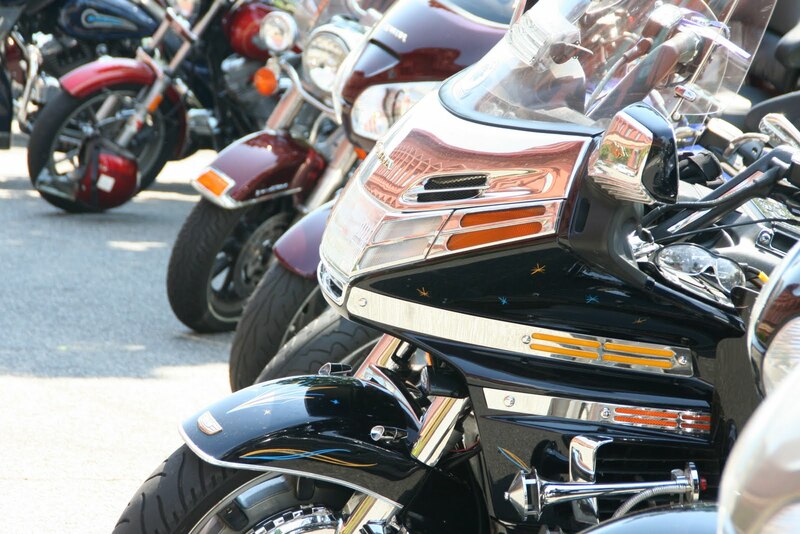 This Mother’s Day, in the wee hours of the morning, law enforcement officers and motorcycle enthusiasts gathered at RFK Stadium in Washington, DC to prepare for the 16th Annual LawRide to the National Law Enforcement Officers Memorial. Hundreds of riders past the U.S. Capitol, down Pennsylvania Avenue, and up 6th Street on their way to the Memorial. Sadly, 10 of the 316 newly engraved names belong to motorcycle officers – six from 2010 and four other officers from dates as far back as 1921. Over 1,250 motorcycle officers have their names inscribed on the Memorial. It has been over 100 years since the first recorded motorcycle officer death: John Slade of the Pasadena, CA, Police Department was killed on June 1st, 1909, when his department-issued motorcycle was struck by a train. As usual, LawRide served as the kick-off to National Police Week 2011. Monday, May 9th: 32nd Annual DC Area Law Enforcement Officers Memorial Service, organized by the Fraternal Order of Police DC Lodge #1 Auxiliary. Begins at 11 AM at the Metropolitan Police Department Memorial Fountain, 300 Indiana Avenue, NW. For more information about National Police Week 2011, including a complete schedule of events, visit www.LawMemorial.org/PoliceWeek. Today, those brave correctional officers were honored at the 20th Annual Corrections Officers Wreath Laying Ceremony and Honor Guard Competition, hosted by the Metropolitan Washington Council of Governments at the National Law Enforcement Officers Memorial Fund on the final day of National Correctional Employees Week. Craig W. Floyd, Chairman & CEO of the Memorial Fund, was the guest speaker at the ceremony, along with Paul Quander, Deputy Mayor for Public Safety of the District of Columbia. Mr. Floyd read a roll call of corrections officers who died in the performance of duty, while officers marched to the center medallion and placed a single rose. A bell chimed after each name and at the end of the roll call, white doves were released into the skies above the Memorial as a symbolic tribute to the fallen heroes. The names of 571 correctional officers now grace the walls of the National Law Enforcement Officers Memorial. These courageous heroes are forever remembered, and their light continues to shine through their memory, and through the selfless men and women who continue to serve each day. Today marks the unofficial start of National Police Week, as public safety and law enforcement officers from the Washington, DC metropolitan area converged at St. Patrick's Catholic Church, to honor and pray for law enforcement and fire safety officers fallen in the line of duty and those currently serving today. As representatives from Federal and local law enforcement and public safety agencies entered the church, they were flanked by honor guards and pipe and drum corps units. The principal celebrant and homilist for the Blue Mass was Reverend Monsignor Salvatore Criscuolo, Chaplain, D.C. First Responders.